The Informed Mum: Methods of child delivery and what we as Nigerians need to know about them. Methods of child delivery and what we as Nigerians need to know about them. We would for the purpose of clarity, and the different kinds of persons this write-up will reach divide methods of childbirth into 3. The first and most common is the natural child birth method. It involves vaginal delivery of the baby without intervention; as per no pain medications and no use of whatever tools to 'bring out' the baby. It is the most preferable and recommended mode as the new mother heals very fast. In cases where medical treatment is done out-of-pocket, this method is the least costly. 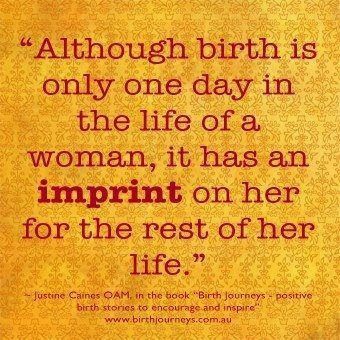 Midwives alone can handle this delivery method. Next is the Cesarean Section . This mode of childbirth involves a surgical incision into a pregnant woman's abdomen and uterus to bring out the baby. Although can be an elective procedure, it is usually done when one of either the mother or the baby's life is in danger. It is much more costly than the vaginal mode of delivery and is handled by much more medical personel than the natural childbirth method. In the delivery room would be a doctor, a midwife, an anesthesiologist etc. Healing is usually longer and more painful than the natural method and the new mother is usually expected to stay longer in the hospital as she will be monitored till she is deemed fit to go home. The third is the vaginal but assisted childbirth. Assistance here could be in the form of epidurals, forceps, vacuum extractor etc. The mother is aided in delivering her child either by numbing the labor pains or using devices to 'extract' her baby vaginally. This method of childbirth is not common in Nigeria and needs specific monitoring and child delivery devices not seen in a majority of the hospitals in Nigeria. Whatsoever the mode of childbirth, the most important issue is the life and well-being of the new mother and her baby. No method diminishes the challenges of a pregnancy, none invalidates a mother, none makes one a better mother than another. They all make the new mothers face varying types of challenges during delivery and the healing process. They all make one a new mother at the end. In as much as the natural childbirth method is preferred, there are cases when it is not possible or medically advised. A pregnancy can come with certain challenges that could make a medical practitioner rule out natural childbirth; all in a bid to save the life of mother or child or even both. If that happens to be an expectant mother's case, she can seek a second, third of even more medical opinions from medical doctors and midwives but NEVER religious leaders or other mums. Refusal of interventions during childbirth has been known to cost lives of either mother or child and sometimes both. No one has ever won an award for natural childbirth, at least not in Nigeria. So if interventions ever get recommended, get another medical opinion (if there is time left for that) and stick to medical advise. 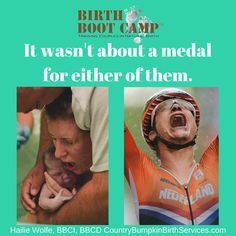 Except the slower healing pace and the deep hole it can dig in one's pocket, there is absolutely nothing wrong with assisted childbirth when it is needed to save lives. What is wrong is loosing one's life or that of the newborn as a result of one's refusal of assistance during delivery, and contributing to the already unacceptable maternal and child mortality rates in Nigeria.